Earlier this year I got to take a literal sneak peek at a Wolf GB08 chassis with a turbocharged K20 powerplant in mid race preparation. It belongs to my co-worker Robin Shute, who was the pilot for Faraday Future’s FF91 Pikes Peak effort last year. This year Robin went back to the mountain, but this time in his very own race car that he and a group of friends built in his garage. Robin has an extensive resume racing Formula cars and Pro Mazda. Plus, he was faster than me at karts (the most important metric!) by a little bit, so yeah, he could drive. The Wolf GB08 chassis has quite the story having been around the world racing in Asian Le Mans and also the Dubai 6 hour. Well, this year the GB08 could add Pikes Peak to its list of motorsports accomplishments. Robin and I were chatting over lunch about the build and he mentioned the team had originally planned to use a supercharger, but they couldn’t get it to package in the tight confines of the chassis. Being a turbo guy, I, of course, suggested the new Garrett G25-660 which is a motorsports grade turbo for the masses. What better application than a real race car with a built Honda K20, right? 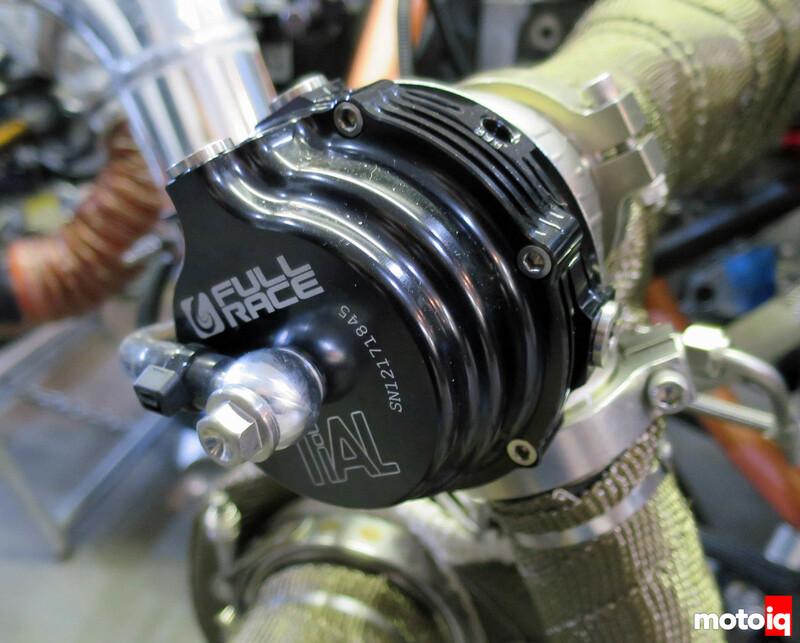 Check out the manifold design above which has ideal wastegate placement (wastegate priority) for optimum boost control. Robin designed the manifold himself and it’s within fractions of an inch of having all the runners equal length. An EGT probe is placed before the turbine inlet to the turbo. 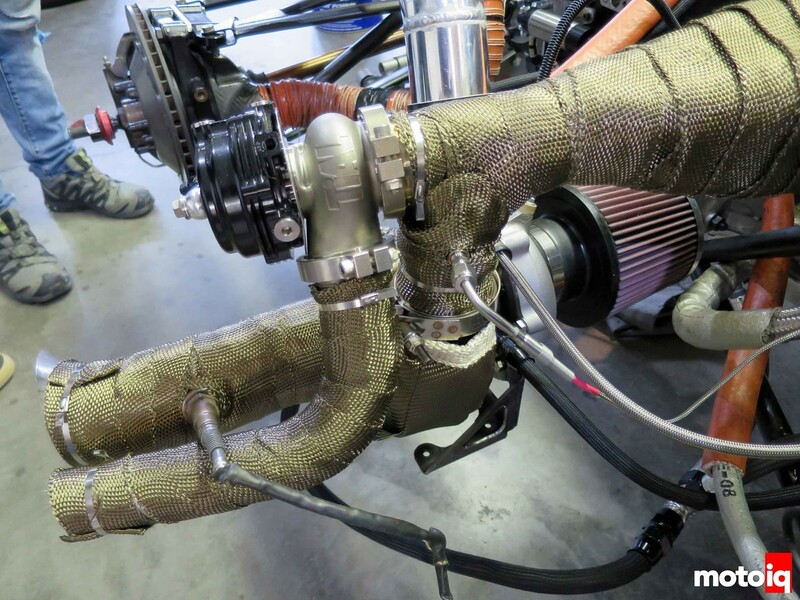 Extensive use of heat wrap keeps all the exhaust energy in the headers to get the most energy to the turbo. Side note, apparently there’s some consultant who charges around $50k to just design a turbo kit! But…. being engineers, we just do things ourselves. Robin opted for the largest 0.92 A/R for maximum power. Any lag issues are resolved by running anti-lag; this is where the MarM turbine wheel of the Garrett G-series comes into play with its higher temperature capability. However, Robin found the turbo was TOO responsive with anti-lag activated, so he left it off for its runs up Pikes Peak. 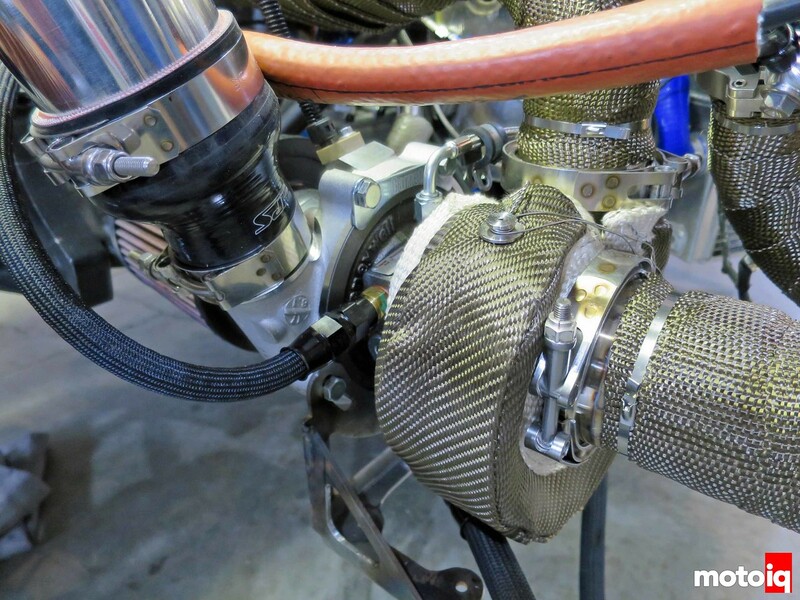 The turbine housing blanket keeps the heat in the housing to improve turbo response and also keeps heat out of everything surrounding the turbo. Race cars have to first finish to finish first, so all the various fluid lines are protected with sleeves. For tuning purposes, each cylinder gets an EGT probe. 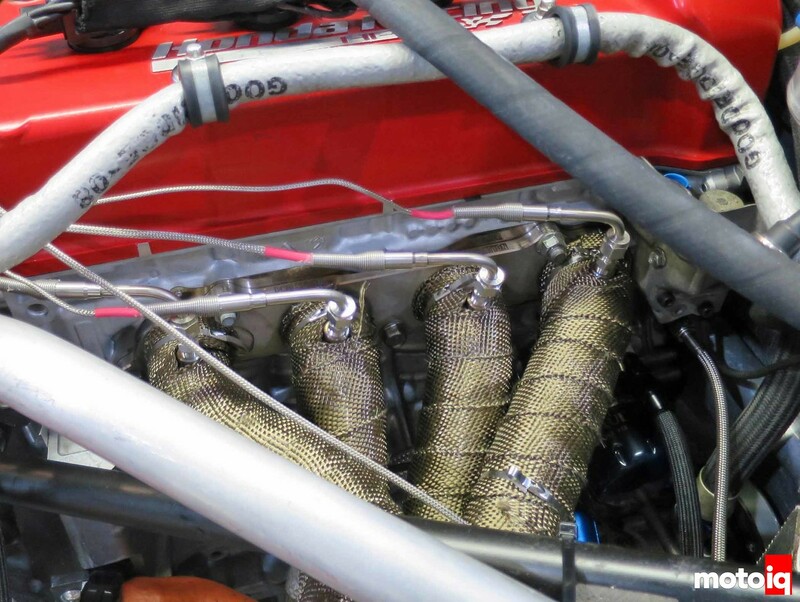 The headers have exhaust wrap too of course. There is an oil line running along the valve cover with a protective sleeve from Goodridge. Full-Race helped in getting the scarce and newly released G25-660 and was also the source of the wastegate. Testing Vektor Performance Headers for the 991.2 Porsche 911 Carrera! Any chance of us getting to see the other details of the car later? I would like to see a full feature on this one, the sneak peak was nice but such a tease! What a cool project. Bummer they didn’t really get to compete this year. Some pictures of the complete car would be a nice follow up. Is the K20 being used as a stressed member or just the transaxle?